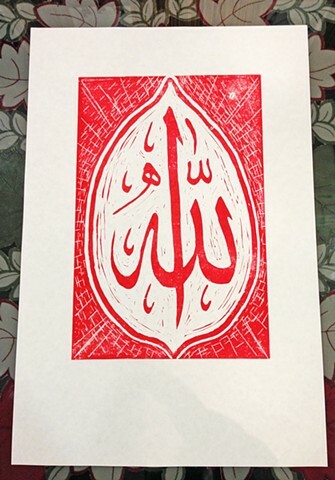 Hand carved, hand printed. Colour (single standard colours only eg. Red, blue, green, pink, etc. ) of your choosing also possible but with all things custom, will need time. Printed on Speedball Printmaster Acid-free paper. Machine made (85 gsm), true to characteristics of traditional oriental block paper. Printmaster paper won't yellow or affect other surfaces adversely. Acid-free and pH neutral. Price: SGD$60 with local registered delivery. Packed by rolling into a crumple proof cardboard mailing tube. Black and red available currently.